Study design, dose setting, calculation and reporting of nonclinical and clinical PK studies, small molecules and biologics. Calculation of Pharmacokinetic or Toxicokinetic studies, with GLP Compliance Statement. Simulations and modelling of study designs: dose settings and exposure predictions. Pharmacokinetic and Pharmacodynamic (PKPD) modelling and simulation. Study design, monitoring, evaluation and reporting of preclinical and clinical ADME (Absorption Distribution, Metabolism, Distribution) studies. Development of integrated NonClincal and Clinical Development Plans to provide all necessasy documentation for IMPD (or IND) and NDA applications. Screening strategies to optimize your lead compounds with repect to their PK and DM properties. Preclinical and clinical PK and ADME regulatory documentation in all phases of the development, including filing a new drug application to authorities in US, Europa and Japan. Quality assurance (QA) activities in GLP-environment including audits and SOP documentation. Perform pharmacokinetic/toxicokinetic analysis in preclinical safety studies for a new chemical entity (NCE) or new biological entity (NBE) projects, including input to study design. Build simulation models and simulate dosing regimens for preclinical toxicity studies and predict exposure in humans. Perform pharmacokinetic analysis in clinical studies for NCE or NBE projects, including input to study design. Monitoring of ADME studies at CROs. Design in vitro studies for drug-drug interactions. Evaluate pharmacokinetic data, build a simulation model and simulate other dosing intervals and regimens for next study as well as estimate exposure parameters in order to maximize the exposure. Review and update the preclinical development plan (PDP) in the areas: toxicology, safety pharmacology, bioanalysis, pharmacokinetics and pharmacodynamics for NBE or NCE. Write PK written summary in regulatory documents. Human Eqvivalent Dose (HED) and Maximum Anticipated Biological Effect Level (MABEL) calculations for dose setting in first human dose studies. PK representative in scientific advice meetings with MPA. Due Diligence, both sides - in and outlicencing. Input to study design of toxicology and PK studies. Predict human exposure from preclinical data. Input to study design of toxicology studies, and toxicokinetic calculations and compiling of TK reports. Input to the study design of GLP toxicity studies. PK simulations to evaluate repeat dosing. Study design of Phase 1 and Phase 2 studies, and PK calculations in Phase 1 trial. 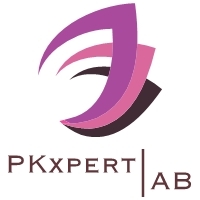 Pharmacokinetic modelling of ongoing study, PK input to regulatory document, PK literature review, and literature review of the field of oral absorption of proteins. QA activities: GLP compliance implementation and QA activities including audits.